More Harry Potter mysteries? Well, who knows about any more books, but SOMETHING sure is up! This mysterious Pottermore website appeared. Potter fans have were challenged to solve the puzzle when ten Harry Potter fan sites were given co-ordinates and then by using a "secret Street View" map that led to a different letter that spelled out the "Pottermore" screen name. 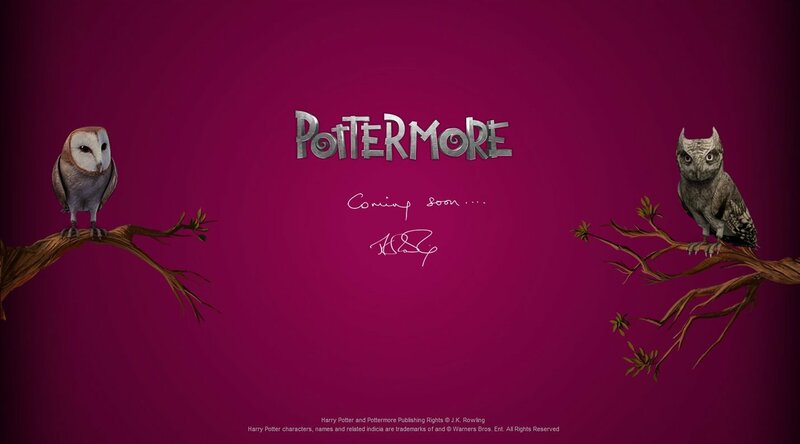 "It is not another Harry Potter book but we cannot reveal any more at this stage, fans will have to keep an eye on the website. It will be launching soon."